So the Cryptocurrency mining boom has more than died down and with it the absurd demand for certain cards has dwindled with it. During the mining prime the RX 480 wasn’t the only highly sought after card, the GTX 1070 offered amazing ETH mining performance per watt. I remember doing my look into the entire scene and being shocked at what just a little tweaking could do to the performance of the GTX 1070, and at only 65% of the power limit to boot. However, that’s all over with and subsequently why we are here today. It’s the season for savings and deal hunting after all and I don’t think there’s any more fierce of a competitive price point as that $200-$300 price category. After all AMD Radeon did just release the RX 590 at a somewhat comfortable price of $279 while their competition’s new cards are gonna set you back a minimum of $500. But, for those who are a bit more of the ‘I want as much as I can get for my money’ kind of people and don’t mind the Ebay grind, you’re going to find one of the best performance per dollar deals imaginable right now. Right now you can find a wide variety of GTX 1070s for less than $250 and for that price it’s an insane deal especially considering it wasn’t that long ago that even a used one was going for over $600+, thank goodness that has come to pass. 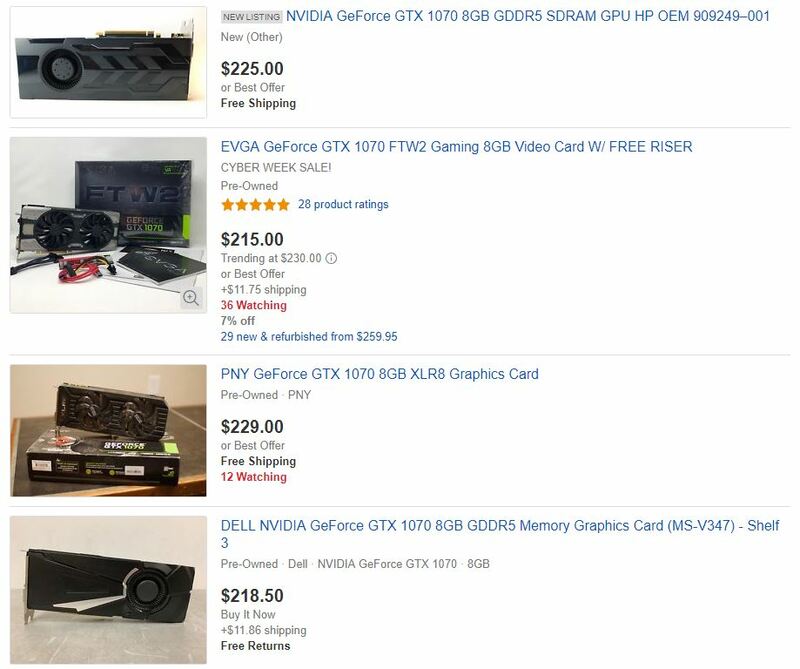 Something to consider as a word of caution, many of these are obviously coming from mining operations, but many are coming from fellow gamers looking to upgrade or sell off a second card to make some sweet holiday spending money. 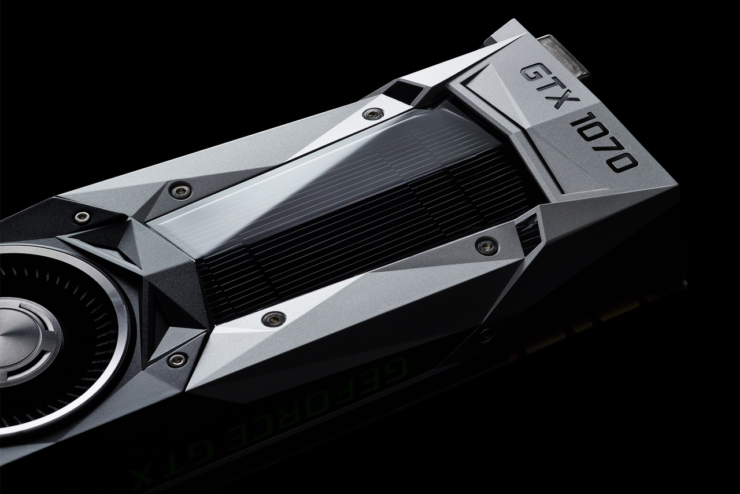 The unfortunate part of those looking to sell their GTX 1070s are likely going to have to go under what it’s actually worth to compete with these miners selling their cards, but if you’re looking for a GTX 1070, or even a second one for SLI if that’s you’re thing, you’re coming out the winner here. So keep an eye out for those sellers dropping 10 or 20+ cards for dirt cheap. Another thing to think about is that often these miners took very good care of their cards to make sure they were up and running, and if they knew what they were doing with the GTX 1070 the load was surprisingly light and they stayed cool under operation. I was on last night trying to find a second GTX 980 Ti for my personal setup, but after seeing those prices inflate and the GTX 1070 come down so hard…perhaps I should just grab one for myself.